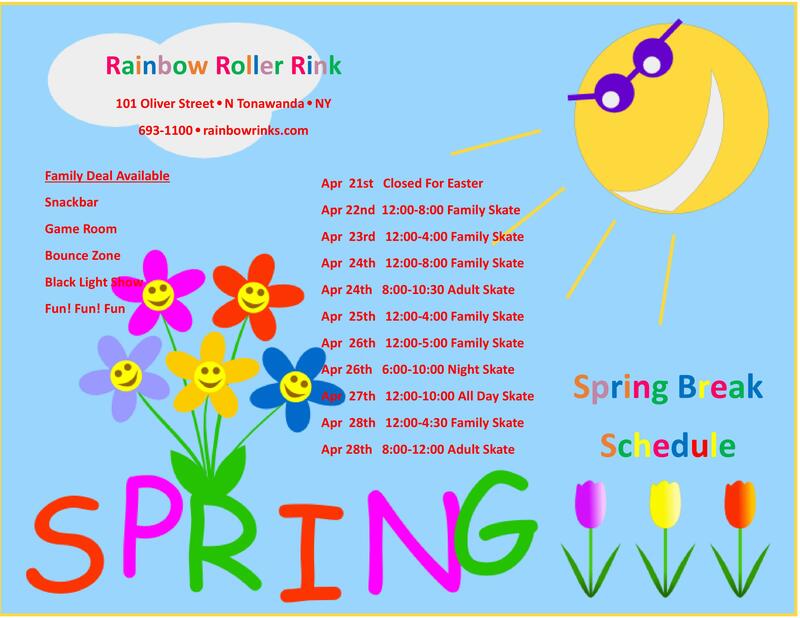 Celebrate Family Fun Month at Rainbow Rink! Have you been looking for something fun to do with the family in North Tonawanda, NY? Well now that it’s August, and officially family fun month, what better way to celebrate than with a day at Rainbow Roller Rink? From birthday parties to open skating sessions, there’s a reason skating has been one of America’s favorite family activities for generations! Whether you’re into inline skating or traditional quad roller skating, there’s never a dull moment when you roll onto the hardwoods. When the DJ starts pumping everybody’s favorite hits and the lights start flashing then you feel the wind hit your face as you make your first lap, it hits you. It’s hard to beat a day at the rink with your favorite people! As if the thrill of skating wasn’t enough, we also have a ton of attractions to keep everyone busy and smiling. After you get your fill on the rink, don’t forget to check out our awesome bounce zone and arcade! We have some of the coolest games and they’re calling your name. At Rainbow, we even have an outdoor skating area with ramps and jumps for all the daredevils out there. At our outdoor skate park, you get the best of both worlds. Swing by and give it shot! We’re also available for private birthday parties for anyone with a big day coming up this summer. So, stop by this month and bring the whole family to celebrate at Rainbow Roller Rink.